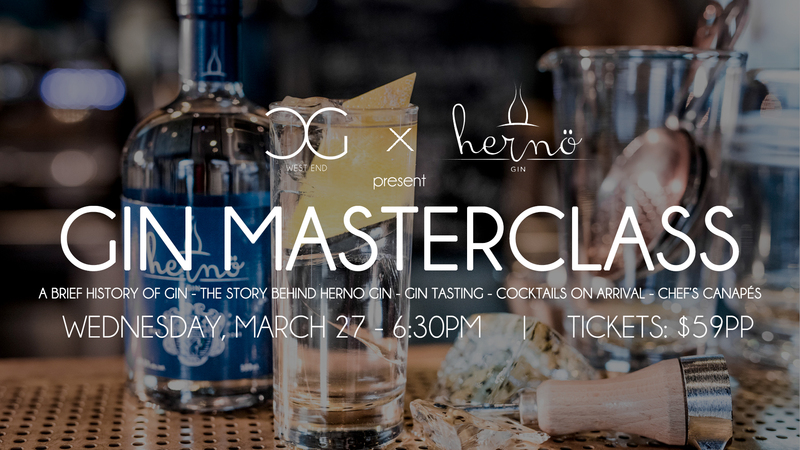 Who's ready for this month's Gin Masterclass...featuring 2-time winner of the coveted WORLD'S BEST GIN award, Hernö Gin!!! After a great feedback from our first international Gin Masterclass (last month with Bombay Sapphire), we've decided to continue our journey throughout Europe's (and World's) best gins, with a stop at a small village of Dala, near the City of Härnösand in central Sweden - the home of Hernö Gin. And because we can't talk about one the best gins in the world without having one of the best hosts, we've invited the one & only Carmen Hartwich from Vanguard Luxury Brands to help us out! As usual, we'll welcome each attendee with a special Hernö Gin based drink on arrival, served alongside Chef's bespoke 5-piece canapés, then move on to their Hernö's magnificent gin range, while learning everything there is to learn about their unique gin making process!